Last summer, Disney Parks unveiled plans for a thrilling Tron coaster-style attraction to be added in Tomorrowland at Magic Kingdom® Park. 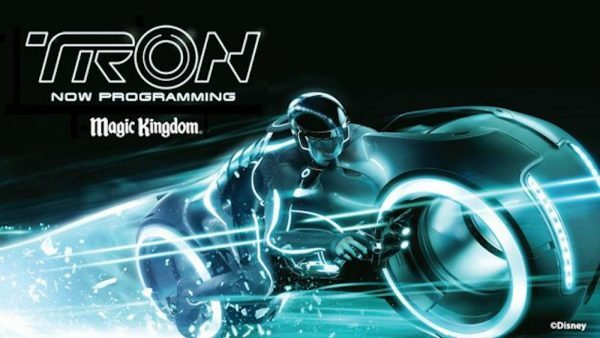 Here’s a look at a new Tron-themed billboard at Magic Kingdom Park that’s now visible from Storybook Circus. The new attraction will occupy an entirely new area next to the land’s Space Mountain, and now, as Disney prepares to welcome Tron into the park, a few modifications will be made to nearby attractions as construction kicks into gear. First, the Walt Disney World® Railroad will temporarily take up residence at the Main Street Station starting in December 2018, pausing its grand-circle tours of Magic Kingdom Park. During this time, you will be able to get an up-close look at the railroad and take advantage of one-of-a-kind photo opportunities. The Tomorrowland Speedway will close for a portion of 2019, as the attraction’s track is adjusted. It will reopen as the same attraction our Guests know and love in the summer of 2019. 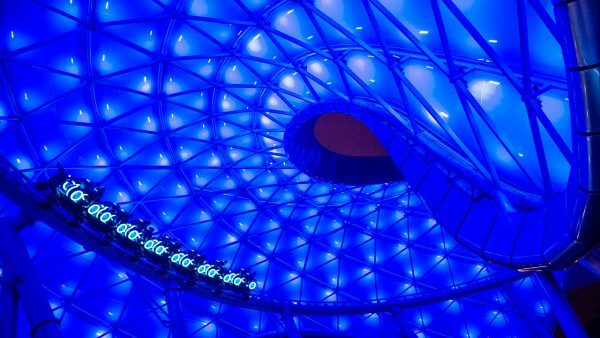 Magic Kingdom’s Tron attraction, which is set to debut in time for Walt Disney World’s 50th anniversary in 2021, is based on TRON Lightcycle Power Run at Shanghai Disneyland (pictured above). This coaster-style attraction allows riders to board a train of two-wheeled Lightcycles for a thrilling race through the digital frontier. TRON Lightcycle Power Run debuted on Shanghai Disneyland’s opening day and quickly became the highest-rated attraction at the park. We look forward to sharing more updates with you on the thrilling new addition of Tron as work progresses. Stay tuned for updates! There are a lot of exciting new enhancements taking place around Walt Disney World® Resort and their golf courses are no exception. Disney upgraded the bunkers at the Magnolia course in 2015 and now they are planning similar enhancements for the Lake Buena Vista, Palm and Oak Trail courses. One of the coolest enhancements will be adding Mickey-shaped bunkers to Lake Buena Vista and Oak Trail similar to the one on No. 6 on the Magnolia course. The Palm course is currently undergoing its regular aeration process and is also getting re-imagined bunkers and improved drainage capabilities. It’ll re-open June 18, 2018. 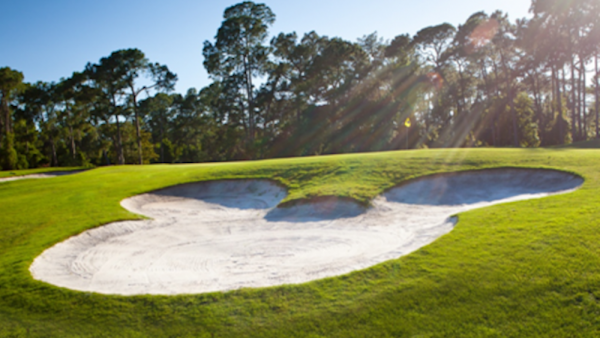 While Disney is creating the Mickey-shaped bunkers, they’re also going to enhance all of the bunkers at the Lake Buena Vista course, including adding new powdery white sand. At Oak Trail, the greens are being restored to their original size and totally resurfaced utilizing paspalum grass for the first time ever on a Disney putting green. The new developments for those two courses begin June 18, 2018 at Lake Buena Vista and June 25, 2018 at Oak Trail. Both courses will be finished by mid-August. In the meantime, there will be special discounted rates at both courses in addition to regular rates at the Magnolia and Palm courses, which are open for play all summer, along with FootGolf, the hybrid soccer and golf game recently added to Oak Trail. To book your Walt Disney World Vacation, call 855-434-9397 or request a quote online! Disney’s Caribbean Beach Resort Updates! Disney’s Caribbean Beach Resort at Walt Disney World® Resort celebrates the spirit of tropical locales — from the legacy of colonial forts & architecture to lively markets, exotic brids, and relaxing strolls on the sand. Each island complex — representing Barbados, Martinique, Aruba, Trinidad, and Jamaica — is bright, airy, and colorful with access to a 45-acre lake and sandy beaches. Earlier this year, Disney announced that Disney’s Caribbean Beach Resort would undergo some transformations. Today we’ve got some new colorful details about those enhancements debuting late next summer! Old Port Royale at Disney’s Caribbean Beach Resort will be reimagined as the port of entry where you will check in before embarking on your “island” vacation. This centralized location will offer resort Guests more convenient access to services, amenities and dining, including an all-new Centertown Market for casual eats, an all-new Shutters restaurant offering waterfront dining adjacent to the new Banana Cabana outdoor bar and lounge, and Calypso Trading Post for shopping. Centertown Market will be expanded and enclosed, creating a quick-service restaurant with an indoor street market vibe. You will enter the space under a large palapa-like structure, accented with glowing colored light pendants made from glass bottles. The market will feature open shutters, wooden light posts, awnings, ornamentation and unique seating areas. Guests will also have access to the Grab n’ Go market for a specialty coffee and quick bites. Shutters, a Caribbean-inspired table-service restaurant, will be located on the waterfront of Old Port Royale, transporting you to a beachfront home in the tropical islands. Large open shutters will allow the sun to cast a warm light into the space adorned with handmade items that appear as they’ve been found on the islands. Leaves and floral design motifs will fill the space, celebrating the natural beauty of the Caribbean. A festive poolside bar, Banana Cabana will be a great place to gather for food and drinks, immersing you into the fun and relaxation of island life. Cabana-style drapes will flank seating areas and re-purposed steel drums will illuminate a central communal table made from a wooden boat. With its history of being the port’s import and export facility, Calypso Trading Post will offer shoppers Disney merchandise and other vacation essentials. Want to experience these changes for yourself? As we’ve previously shared, two new lands – Star Wars: Galaxy’s Edge and Toy Story Land – are currently under construction at Disney’s Hollywood Studios®. But today we’re sharing a look at another area of the park that’s undergoing its own transformation. A highlight of Grand Avenue is sure to be BaseLine Tap House. This new corner pub will feature California beers and wines along with a selection of small bites. The spectacular will inspire you to seek out and find your own “Happily Ever After” by showcasing some of the greatest adventures Disney characters have taken to achieve their dreams. 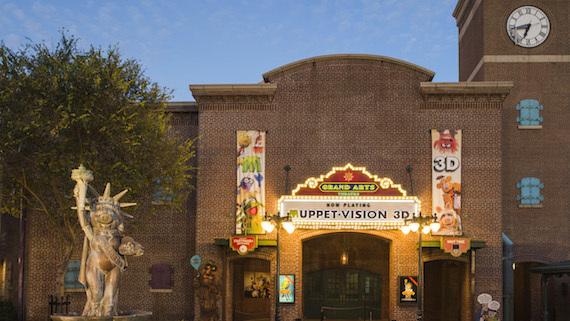 The show will feature the latest fireworks and pyrotechnics and original animation, plus a heart-tugging original score. And thanks to the inclusion of state-of-the-art projection mapping technology, more Disney characters than ever before will be featured in the show, including moments from “Moana,” “Brave,” “Big Hero 6,” “Zootopia,” “The Princess & The Frog,” “Aladdin” and many others. The Fireworks Dessert Party at Tomorrowland Terrace will continue to offer up a scrumptious way to view the nighttime fun as “Happily Ever After” makes its debut. Get a closer look at this new show in the video below! 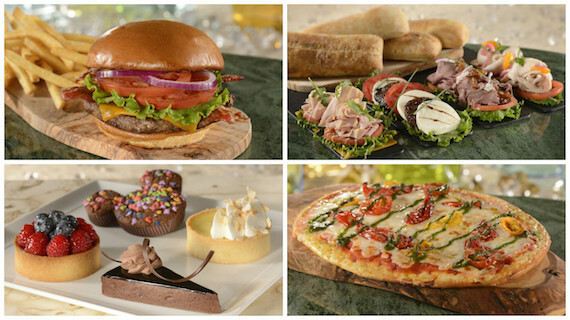 Gasparilla Island Grill has Reopened with a New Menu! After a recent refurbishment, Gasparilla Island Grill at Disney’s Grand Floridian Resort & Spa has reopened with a new menu. Elevated flavors, artisanal ingredients and great attention to detail can be found through each station – hot sandwiches and pizzas, the sandwich and salad bar and coffee and dessert. At the Sandwich Bar, each sandwich is assembled per order, keeping the bread – which is baked fresh in house daily – perfectly crusty. You can enjoy fresh, high-quality ingredients including Tillamook Cheddar on the smoked ham sandwich, Florida orange vinaigrette on the roasted turkey, thick slices of Mozzarella on the grilled vegetable sandwich and roast beef with horseradish. And, each sandwich is served with house-made chips. You can also create your own salad at the salad bar, topping it off with flank steak or marinated chicken. At breakfast, the salad bar becomes a yogurt bar allows you to build parfaits with toppings such as fresh fruits, granola and bananas in a decadent caramel sauce. Pizzas are served on dough made in-house daily. You can choose from sausage and Mozzarella, fire-roasted tomatoes with basil pesto and a three-cheese blend, or the chicken and mushroom. For hot sandwiches you can indulge in the artisanal burger, featuring 7 ounces of a signature beef blend, bacon and Cheddar cheese on a freshly-baked Brioche bun. Other options include a Mahi Mahi “Ruben,” featuring house-made cabbage slaw on marble Rye bread, or the chicken and Brie, a delicious twist on Cordon Bleu – with ham, spinach, raspberry mustard on a Brioche bun. Finally, you can enjoy specialty coffees and delicious baked goods, pastries and sweets including Coconut Pot de Crème, Almond Fruit Tart, Chocolate Mousse Pie, Mickey Brownie, Minnie Mouse Cupcake and assorted cookies and other sweet treats. “Once Upon A Time” replaces “Celebrate the Magic” on November 4th! I always felt like Celebrate the Magic got the short end of the stick. Most often stuck right in between a showing of the Main Street Electrical Parade and Wishes, it never garnered the attention I thought it should. I really loved it, though. And while I’m sad to see Celebrate the Magic go (especially the Wreck-It Ralph sequence), this new show looks to be amazing. Classic Disney fairy tales light up Cinderella Castle as the projection show “Once Upon a Time” debuts at Magic Kingdom® Park at Walt Disney World® Resort on Nov. 4, 2016. This new show uses projection-mapping technology to produce a dazzling three-dimensional effect that fits every nook and contour of the Castle, from its base to the tips of its towers and turrets. The result: Cinderella Castle opens like a storybook and becomes living art, the canvas for a kaleidoscopic and eye-filling feast of fantasy. Coinciding with the 25th anniversary of the timeless animated classic, Disney’s “Beauty and the Beast,” the new projection show is narrated by Mrs. Potts who shares “once upon a time” bedtime stories with Chip. The awe-inspiring show culminates with classic scenes from “Beauty and the Beast” – the Beast waltzing with his beloved Belle, his duel with Gaston, and finally his transformation back to the Prince. As Mrs. Potts and Chip conclude their bedtime story, the show moves to its grand finale including appearances by characters from some of Disney’s most beloved animated tales. Fireworks bursting above the Castle add to the magic. 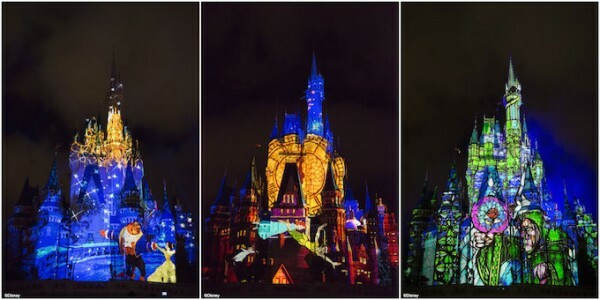 “Once Upon a Time” takes its inspiration from a projection show that has thrilled guests at Tokyo Disney Resort since May 2014. 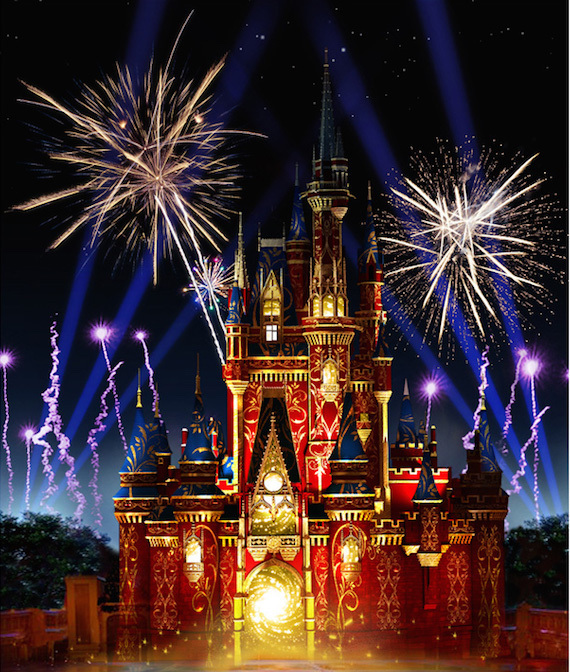 The new show replaces the “Celebrate the Magic” Castle projection show that will end its four-year run on Nov. 3, 2016. An enduring Disney Parks classic, the Main Street Electrical Parade, will take its shimmering farewell trip through Magic Kingdom® Park at Walt Disney World® Resort on Oct. 9, 2016. Since making its Florida premiere in 1977, the parade has become one of the most beloved entertainment spectacles anywhere. Watching the Main Street Electrical Parade has become a rite of passage with parents and grandparents eager to share the nostalgic experience with their children. You will have one more chance to see the parade and share this special memory, on select nights, before it before it departs. This vibrant parade, a perennial favorite with Disney Guests, will next travel cross-country to Disneyland® Park in Anaheim, California, where it originally premiered in 1972. Please note the Main Street Electrical Parade at Walt Disney World Resort will not appear during Mickey’s Not-So-Scary Halloween Party nights. Parade dates and times are available on the My Disney Experience app. 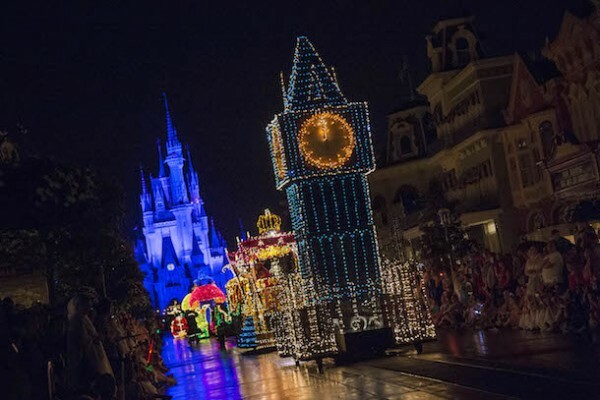 Don’t miss your chance to celebrate this beloved parade featuring cherished Disney Characters including Peter Pan, Tinker Bell, Alice in Wonderland, Snow White and the Seven Dwarfs and, of course, Mickey Mouse! Contact us today to book a last-minute trip to see the Main Street Electrical Parade! Guests traveling to Disney Springs™ via complimentary Disney Resort bus transportation noticed some changes over the past couple of weeks. Disney motorcoaches now have their own dedicated bus lanes, giving them more efficient access to the property. 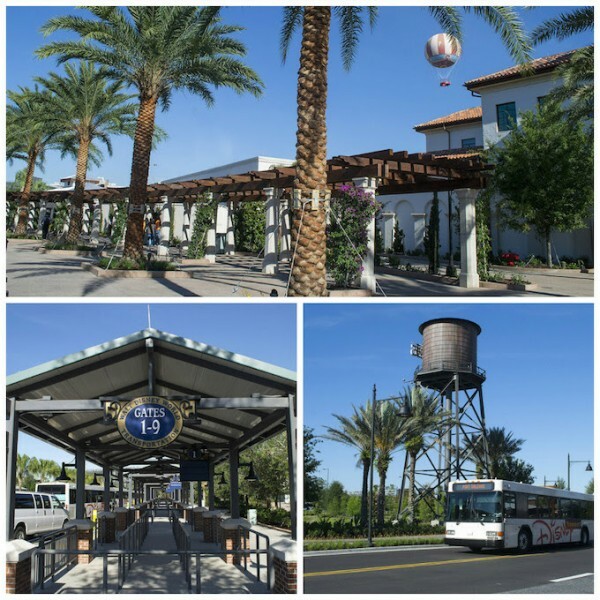 Once they arrive at Disney Springs, Guests are dropped off at The Gateway, offering a stunning arrival into the newest neighborhood at Disney Springs. With the opening of the new Disney Springs bus loop, the former Marketplace bus loop will support other transportation needs including vehicles coming from nearby Good Neighbor Hotels, Hotel Plaza Boulevard and Shades of Green. In addition, Sundries is now open in Town Center near the bus loop, and will be the primary location for stroller and wheelchair rentals at Disney Springs. Other offerings available for purchase at Sundries include basic first aid and baby products. There has been a great disturbance in the Force! Changes in the Star Wars experience at Disney’s Hollywood Studios are coming, and these changes are both good and bad. Very soon, you’ll have the opportunity to experience Star Wars in the park in an all-new way – every day! New experiences will open starting Dec. 1, 2015, bringing that galaxy far, far away, a little bit closer. Star Wars Launch Bay will take Guests into the Star Wars saga and the upcoming film, Star Wars: The Force Awakens, with special exhibits and peeks behind-the-scenes, special merchandise and opportunities to encounter Chewbacca and Darth Vader. Star Tours – The Adventures Continue will be home to a brand new adventure inspired by the upcoming film, Star Wars: The Force Awakens. 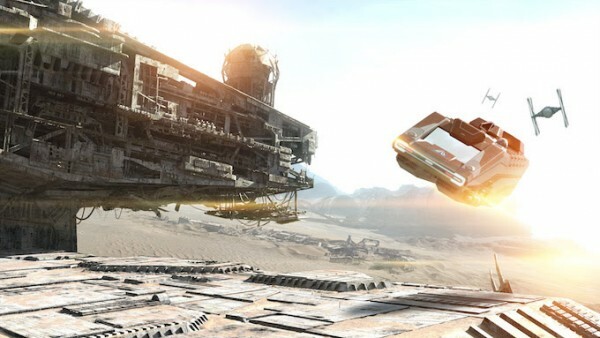 During the opening months, Disney will make sure that everyone who rides Star Tours will experience the new adventure. After that, it will be up to the will of the Force. There is also new information about “Star Wars: Path of the Jedi.” It will feature scenes from the complete Star Wars saga, giving anyone new to the Star Wars galaxy an opportunity to get acquainted with the films. With Star Wars Launch Bay, the new Jedi Training experience, “Star Wars: Path of the Jedi,” and a new destination in the Star Tours attraction opening in December, you’ll be able to step into the Star Wars saga every time you visit Disney’s Hollywood Studios. You are currently browsing the archives for the Closures & Refurbishments category.